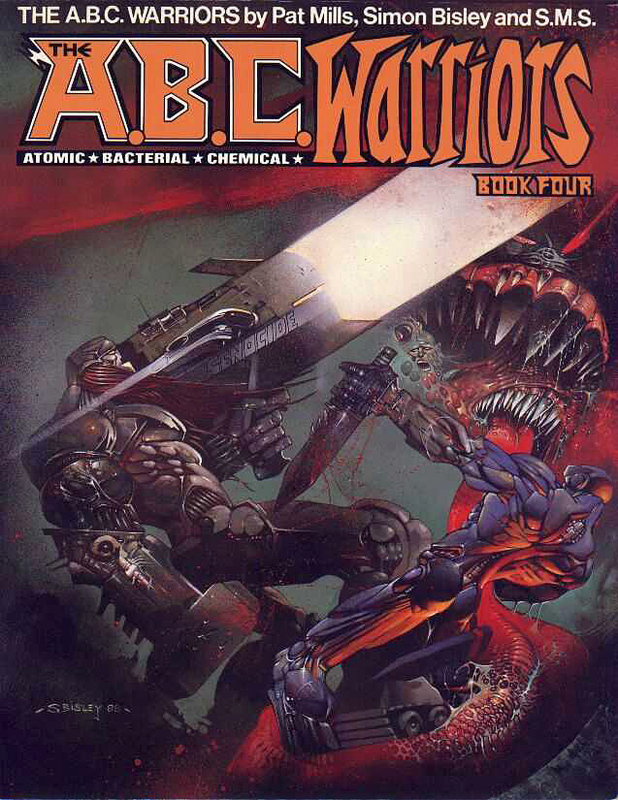 The A.B.C Warriors, Books 1-4 (Titan Books) | 'TAIN'T THE MEAT… IT'S THE HUMANITY! 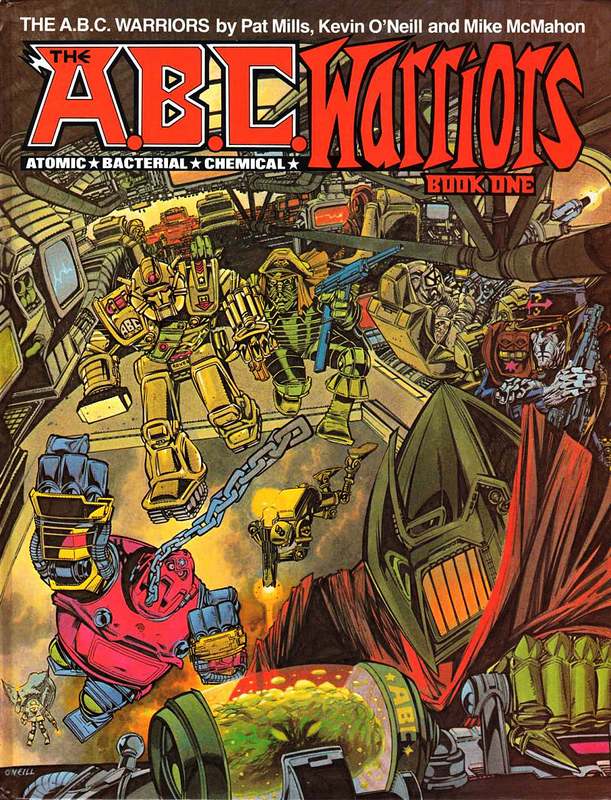 The Atomic ∗ Bacterial∗ Chemical∗ Warriors first appeared in 2000AD Prog #119 (cover dated 30th June 1979) and comprised of a ragtag ensemble of intelligent robots created to fight in the Volgan War, a long-running conflict that crossed over into other 2000AD strips. The Warriors consisted of Hammerstein and Ro-Jaws (who had already appeared in Mills’ Ro–Busters), along with religious zealot Deadlock, the narcissistic Joe Pineapples, the treacherous Blackblood, the non-too-bright Mongrol, The Mess (a melted down robot in a flask) and insane killdozer Mek-Quake. The strip was created by 2000AD founding Editor Pat Mills and was actually a follow up (technically a prequel) to Ro-Busters. 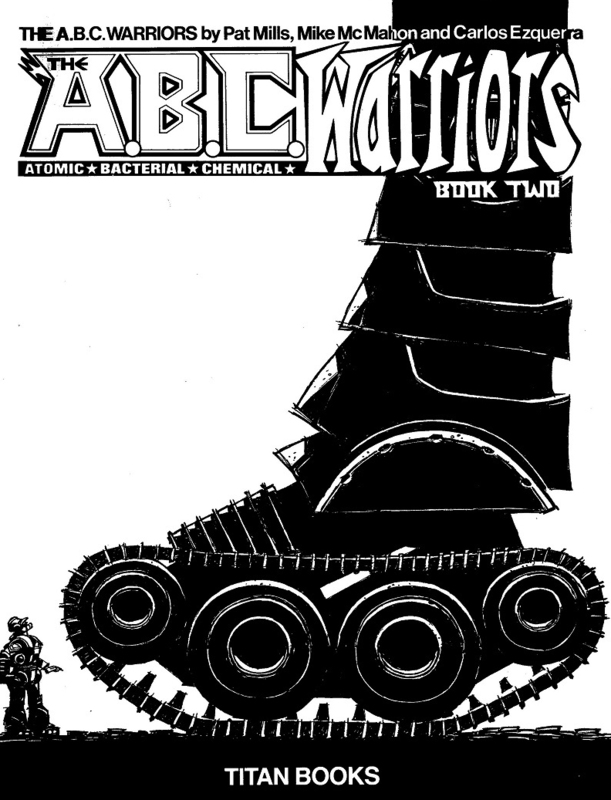 Artists for the early A.B.C stories included Dave Gibbons, Simon Bisley, Brett Ewins, Brendan McCarthy, S.M.S (real name Simon Short), Kevin O’Neill, Carlos Ezquerra and Mike McMahon. 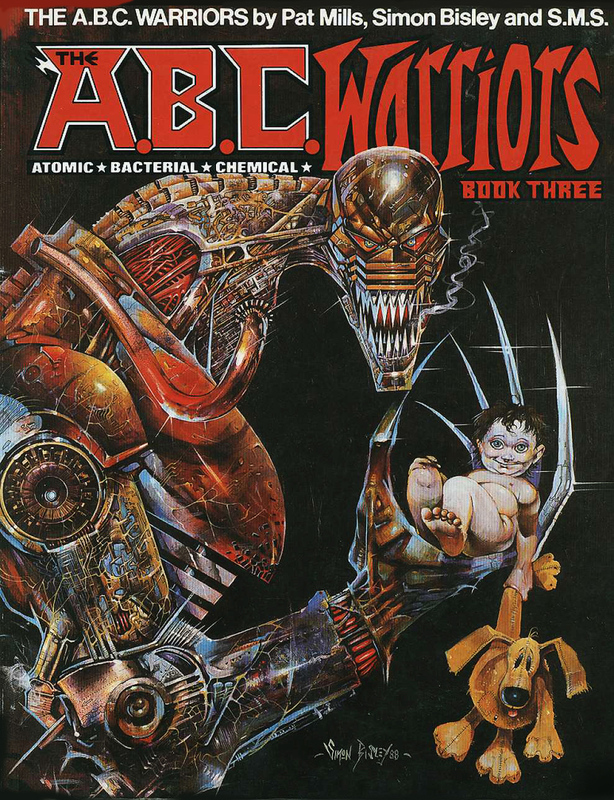 Between 1983 and 1988 Titan Books published four volumes of stories featuring The A.B.C Warriors, all reprinted from 2000AD. The books measured 22 x 28cm and included 64-80 pages of black and white material with a stiff full-colour cover. The volumes also included some original artwork commissioned especially by Titan Books and well as new covers by O’Neill (Book One), Mike McMahon (Book Two) and Simon Bisley (Books Three and Four). 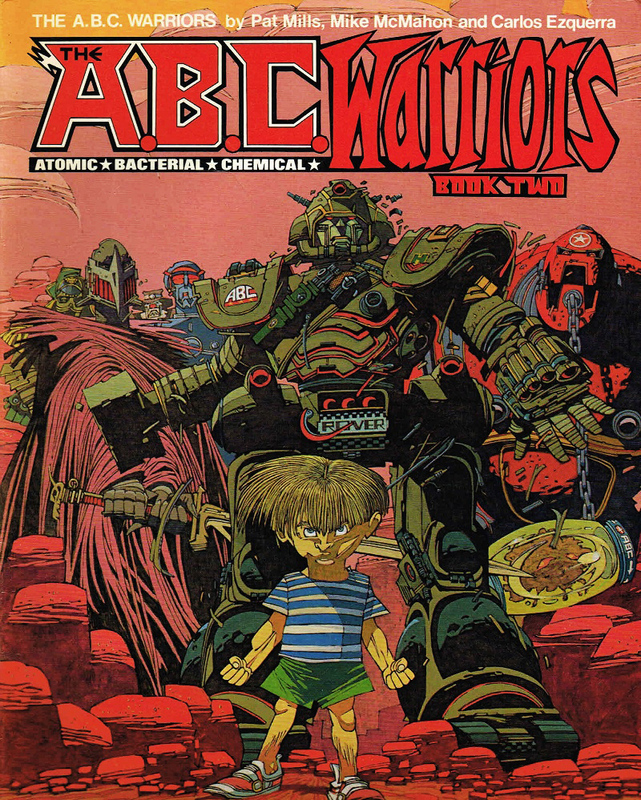 Since their debut The A.B.C Warriors have proved consistently popular with readers of 2000AD, and reprints of their exploits have appeared in many forms over the years. Although these early Titan volumes are now out of print I still have a soft spot for these collections. Maybe it’s because they were the first time these stories were reprinted, or maybe it’s the terrific covers, but they sit pride of place on my shelf along with my other Titan collections from the 1980s. Here are all four volumes of The A.B.C Warriors, with annotations. 2000AD Prog #581 and a pin-up of Deadlock.